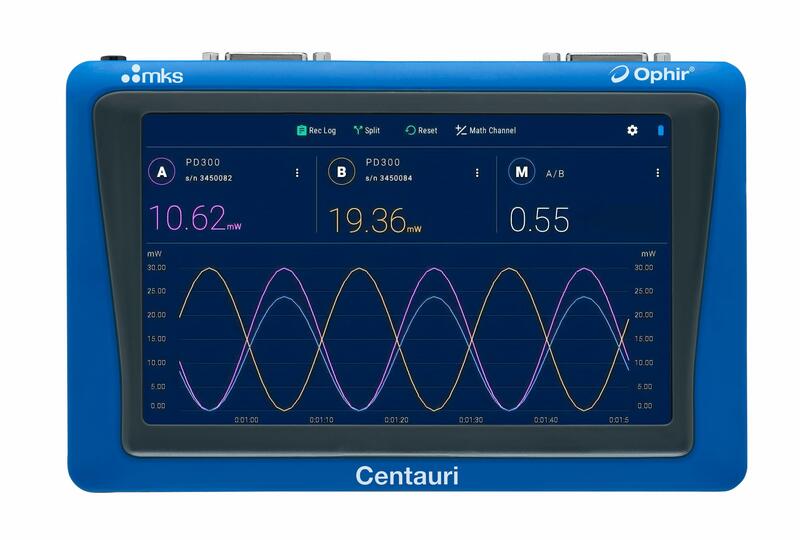 The Ophir® Centauri is a compact, portable laser power and energy meter designed to make precise measurements of laser performance over time. This meter features a large, full-color, seven-inch touch screen for the review of visual data using a wide range of graphical display formats. The Centauri also offers advanced math functions, including density, scale factory, and normalize against baseline. Ophir® Centauri is available in single and dual-channel versions. The dual-channel option supports split and merged graphical displays. Advanced power and energy logging allows for logging of every point up to 10 kHz. The wide range of math functions cam be mixed together, displayed graphically, and logged. Centauri is compatible with all standard Ophir thermal, photodiode, and pyroelectric sensors. For more information on the Ophir® Centauri laser power and energy meter, visit the Ophir webpage or download the above brochure.